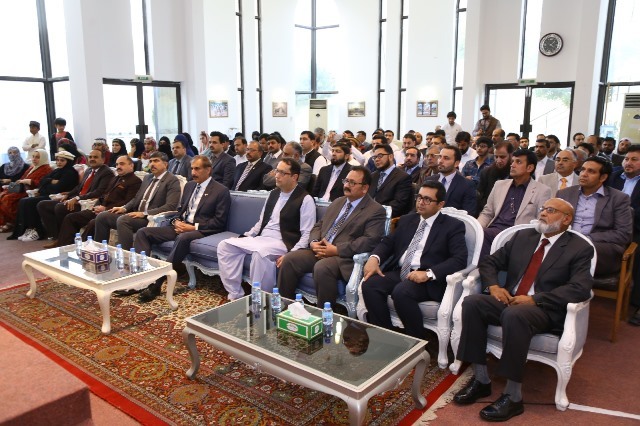 To express solidarity of people and government of Pakistan with the Kashmiri people, representatives of the Pakistani community and the civil society observed “Kashmir Solidarity Day” at the Embassy of Pakistan Doha. The observance of the Day every year is aimed at highlighting the illegal occupation of Kashmir by Indian forces; the plight of Kashmiris in the face of ongoing Indian state terrorism and the imperative need of resolution of the dispute in accordance with the aspirations of Kashmiri people. 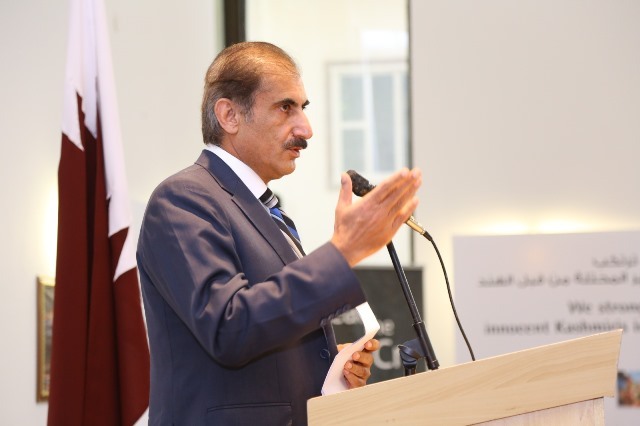 In his remarks Ambassador of Pakistan to Qatar Syed Ahsan Raza Shah said that for the last seventy one years the people of occupied Jammu & Kashmir have continued their valiant struggle for right of self-determination despite the overwhelming oppression and gross violations of their fundamental human rights by Indian occupation forces. Ambassador referred to the recent report of the Office of the UN High Commissioner for Human Rights which has chronicled the massive ongoing violations of human rights in Indian Occupied Kashmir adding that the oppression of Occupation forces has failed to diminish the struggle and desire of the Kashmiri people to achieve their right of self determination. the right of self-determination, as enshrined in United Nations Security Council resolutions is achieved. The audience witnessed a documentary on the sacrifices rendered by the Kashmiri people and the atrocities committed by Indian occupation forces. Special prayers were offered for the martyrs of the freedom struggle of the people of Occupied Jammu and Kashmir.